Carolyn McClanahan, M.D., CFP began her career as a physician. As her financial life grew more complex, she and her husband sought help with their financial plan. Frustrated by not being able to find a financial planner, Carolyn went back to school to become a financial planner and took a major leap to make a significant career change. 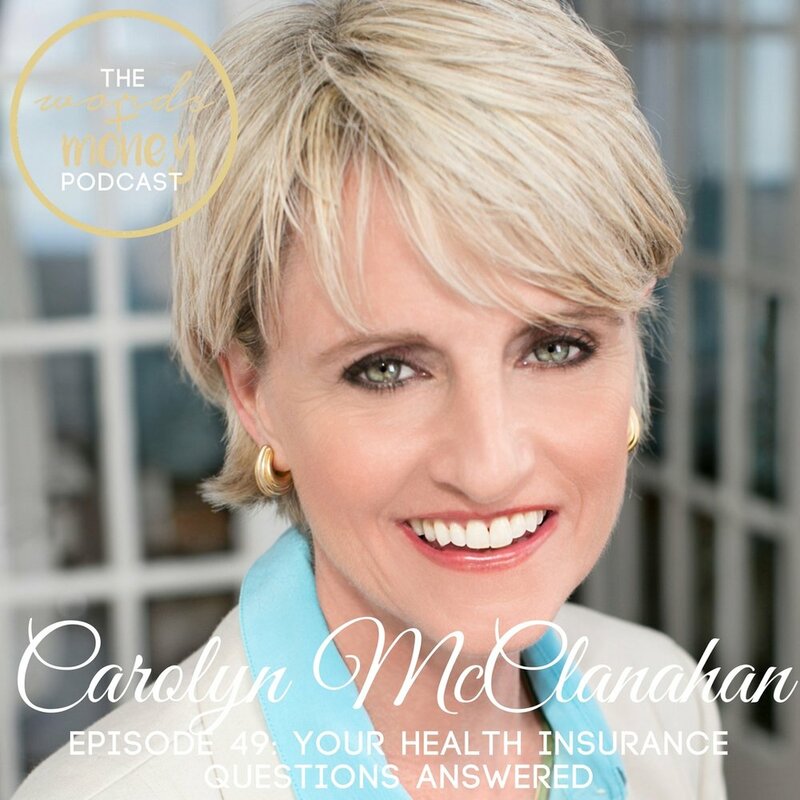 In this episode, I'm asking the expert all your questions about health insurance. As open enrollment approaches, it's time to learn what your options are and answer those tricky questions about one of our country's most complex system. What are the key factors to pay attention to that differentiates the health insurance plans? How does getting married or having kids wrap into choosing the right plan? The difference between an HMO and a PPO and when it's appropriate to switch. Do you have to have an HMO/PPO in order to have an HSA/FSA? What is an FSA and HSA? What is the point of an FSA? If your employer only offers an FSA, where does that money go and can users deduct that loss from their taxes? How much money can you put in your HSA pre-tax? Why would you want to do an HSA over a low-deductible plan? What is the difference between coinsurance and the deductible? How do you figure out if you can use your HSA to cover a medical procedure? What would be the health plan recommendation for healthy millennials? How do you find out how much your treatment will actually cost before going in and getting your treatment? What affordable options do students have for getting health insurance? Episode 84: When Life in Italy Isn't All Meatballs and "That's Amore"
Episode 78: Women REALLY Rock at Investing! I'm Tess. I explore what freedom and living a wealthy life means to myself and women everywhere. We find comfort in talking about money and finance, business and dreams, and everything in between. Here you can find advice for money, travel, and business. Everything you need to know to build the wealthy life you've always wanted. New here? Learn a little more about this place. *Affiliate links may have been used and a commission may be payed out from this post. Please note that tesswicks.com has relationships with some of the merchants mentioned. While all attempts are made to present correct information, it may not be appropriate for your specific circumstances, and information may become outdated.